Have you ever wondered what your smile would look like perfectly straight? If you have always wanted a straighter smile but have been held back by the thought of traditional metal braces, we understand! That’s why David Spilkia Family and Cosmetic Dentistry, located in Philadelphia, PA, offers invisible aligners. Invisalign uses clear, comfortable, plastic trays that are custom-designed for your mouth and your specific needs. The trays are worn a minimal 20 hours a day. They are removed for eating and oral hygiene. New aligner trays are worn every couple of weeks to keep your teeth moving into their desired positions. You can eat the foods you love. Unlike traditional braces, Invisalign trays are removed for eating. This means you don’t have to avoid sticky foods or popcorn! 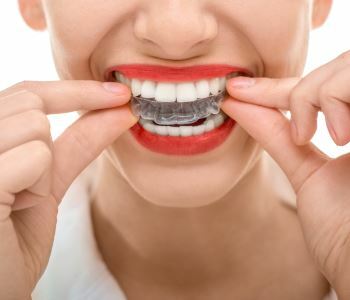 Invisalign allows you to enjoy virtually invisible teeth straightening, most people won’t even notice! You will experience better oral health. You will remove the trays for your oral hygiene routine, meaning there is no need to attempt brushing around metal brackets and wires. This method is quicker overall. You have fewer office visits associated with the ongoing alterations necessary to keep your teeth moving, and the entire process is normally completed in 12 to 18 months! Dr. David Spilkia has built his practice around a commitment to comfortable care. This is one of the many reasons he feels Invisalign is a perfect option for mild to moderate alignment issues. The overall process more comfortable and convenient. Here at David Spilkia Family and Cosmetic Dentistry, we want to provide you a place where all your dental needs can be met, from basic cleanings to cosmetic dentistry changes. Call us today to schedule a consultation! We can give you the smile of your dreams. (267) 463-2777.